In examining this scripture, we have been struck by the significance of a corner pillar. A corner pillar is historically both lovely and functional. It is vital to the entire structure and is intended to bring glory to something greater than itself. In addition, we are each vital in our homes, families, and church community. 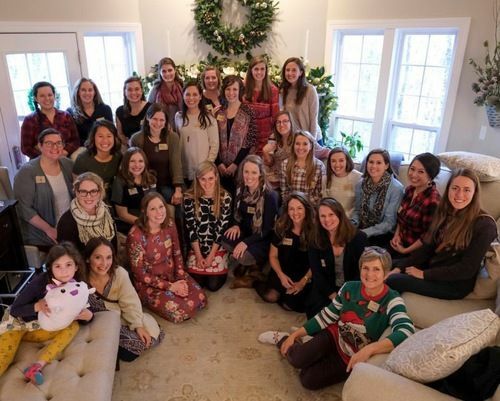 We desire that all the women of Portico grow in their relationship with the Lord and function with the grace and beauty of a corner pillar. It is with this in mind our women’s ministry is called Pillars. Because we seek to follow Christ and grow closer to Him, we look to John 1:14, “And the Word became flesh and dwelt among us, and we have seen his glory, glory as of the only Son from the Father, full of grace and truth.” We wish to be filled with His grace and truth as we fellowship and study the Word together. All women are invited to come by our weekly coffees hosted in various homes of Portico Investors. This is simply an opportunity to connect with other women to grow in relationships with one another. Come and go anytime. Please feel free to invite others--you do not need to attend Portico to come by. You can contact the host via text for the address and all addresses can be found in the monthly Pillars email sent at the beginning of each month. Friday, April 12th, 9:30 - 11:30 am at Faith Vandever's house - contact her at (214) 549-4490 for more information. **Children are welcome but you do not need to have children to attend. Monday, April 15th, 7-9 pm at Katie VanEss' house - contact her at (817) 403-0248 for more information. **Children are not included in evening coffees. Thursday, April 25th, 9:30 - 11:30 am at Britt Davis' house - contact her at (804) 370-9154 for more information. **Children are welcome but you do not need to have children to attend. We invite you to join our Pillars' Email List if you haven't already! Currently, we send a monthly email to keep you posted on the events coming up that month. This is the best way to ensure you do not miss out on what's happening in women's ministry. Email [email protected] to be added to the list! For general questions about Pillars Women’s Ministry, email [email protected].